"We over did it last year when it came to PLEX promotions. We are going to slow the ■■■■ down for now." On Friday, a rather ordinary event occurred in an extraordinary way. The average price of PLEX traded in The Forge hit another record high, selling for an average of 4,489,980 ISK per PLEX, or 2,244,990,000 ISK for 30 days of Omega time. Or perhaps, more accurately, I should state 1,908,241,500 ISK. Why the dual figures? 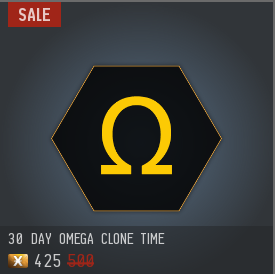 Because CCP launched an unusual promotion that ran the final three days of March. Instead of giving the whales a reduced price on PLEX to drive sales (and increase supply on the market), the company instead reduced the amount of PLEX a player would need to buy 30 days of game time with in-game currency. From a marketing perspective, the sale makes sense. CCP also held a skill point weekend, in which players on Alpha (F2P) accounts received 75,000 skill points for logging in their accounts all three days, while Omega accounts received 250,000 skill points. We don't know the internal business measures, but a sale at the end of the quarter is pretty standard to goose the numbers up a bit. From a game economy management perspective, holding a sale expected to remove PLEX from the market instead of adding supply is, may I say, a sub-optimal course of action. Ten days prior, on 19 March, purchasing PLEX at the average price in The Forge resulted in 30 days of game time exceeding 2 billion ISK for the first time on Tranquility. Yes, players bought their game time cheaper during the sale than before. But what will happen in April? I'm not sure whoever came up with the promotion thought through the effects on the product he/she/they are selling. What made CCP's actions stand out even more was the historic reaction to the sale on EVE's primary sanctioned RMT market. First, the one-day percentage increase of 8.1% shattered the record set on 14 November 2011 of 5.5%. 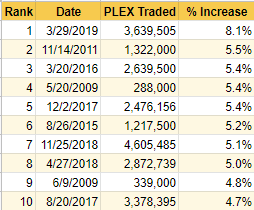 Friday's price move also tied the biggest daily average price change, either positive or negative, in the history of PLEX. 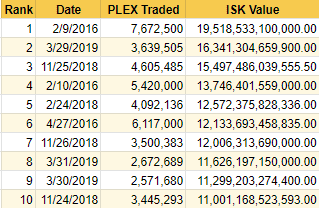 The market activity on the 29th also registered as the second-highest day of PLEX trading based on the amount of ISK traded. While falling short of the total spent on the first day of skill point trading, the response to Friday's sale exceeded each day of last November's Black Friday sale as well as the launch of the Citadel expansion in April 2016. 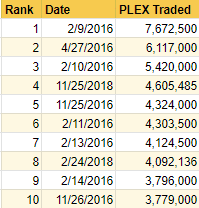 Despite some of the other gaudy numbers players witnessed on Friday, the amount of PLEX traded in The Forge only ranked 11th all-time. The list is dominated by the launch week of skill trading, with 5 of the top 10 spots on the list. Coming in number 2 was the launch day of the Citadel expansion. 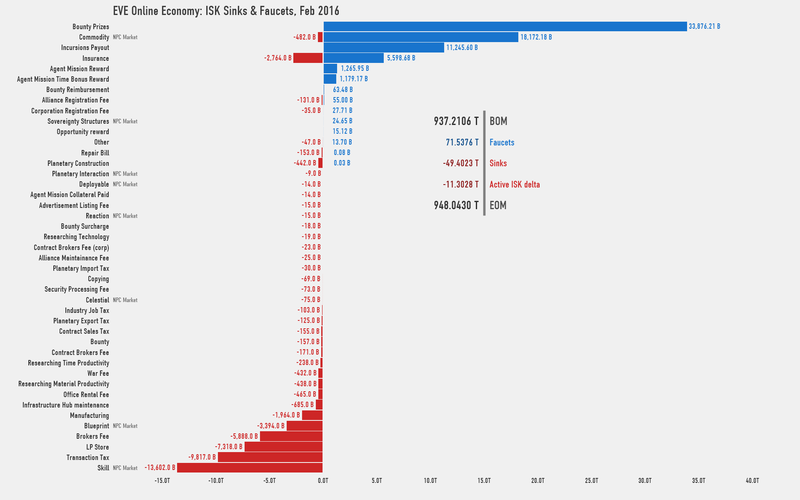 The rest of the top ten is filled out by the Black Friday weekend sales in 2016 and 2018. 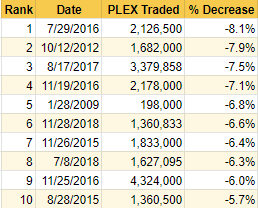 Friday's failure to crack the top 10 days with the most PLEX traded in The Forge is a reminder of the changes in the economy that has devalued the Interstellar Kredit against real money instruments like PLEX, as well as real world currencies like the U.S. dollar, the euro, and the pound. In that vein, I'd like to make an observation that reinforces the reduction of the increasing price of PLEX. 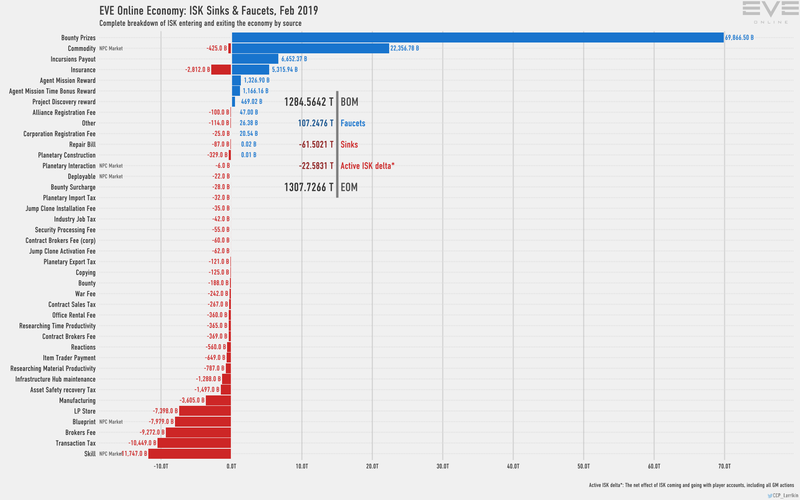 In February 2016, the 19.5 trillion ISK spent on PLEX in a single day represented 57.5% of the 33.9 trillion ISK earned by players through bounties. In February 2019, the bounty rewards had doubled, to 69.9 trillion ISK. The 16.3 trillion ISK spent by players Friday only represented 23.3% of that total. One could believe that ratting income is keeping up with the rising cost of PLEX, even accounting for the recent record price spike. Just because the sale is over doesn't mean the story is finished. We have one more act to observe. Will the prices return to pre-sale levels? I know a lot of people are yelling, concerned that the events of this weekend will put PLEX out of the reach of many players next month. But will PLEX prices return to the pre-sale price trend? I'm not so sure the prices will remain high. That's why we follow the markets. UPDATED 1 April 2019: Third table updated with results from trading on 31 March 2019.